The drilling was conducted to test the depth of previously encountered gold mineralization at the La Gloria prospect, and the results have not lived up to expectations. Initial results from a drill program at Evrim Resources’ (TSX:EVM) Cuale project in Mexico have not gone down well, with the company suffering a huge drop in value on the TSX after their release. 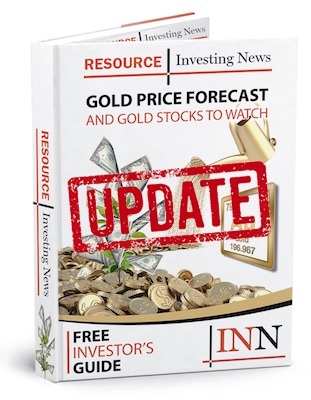 The drilling was conducted to test the depth of previously encountered gold mineralization at the La Gloria prospect, and the results have not lived up to expectations, causing the company’s share price to fall by a precipitous 70 percent on the TSX on Thursday (December 6). Evrim started trading on Thursday at C$1.23, before quickly falling C$0.87 to hover at C$0.36. The fall in share price returns Evrim’s value to where it was before the La Gloria prospect turned up promising drill results in April. One of three holes drilled so far as part of a 3,000-meter program returned 14 meters grading 1.92 grams per tonne (g/t) gold from surface and 10.2 meters of 1.58 percent copper from 238.8 meters. A second hole drilled 17 meters grading 0.52 g/t gold, and a third returned 29 meters grading 0.87 g/t. The La Gloria prospect is held up as a highlight of exploration so far at the Cuale project. As recently as September, the company has been spruiking drill results that expanded mineralization there, with the previously mentioned results from April behind a C$1 jump in value for the company as investors took note. Prior to the two rounds of April results, where the company had sampled up to 13.61 g/t gold, Evrim had been trading at C$0.48 — and afterwards jumped as high as C$1.50. Nicol said that with Thursday’s release, the company is still trucking on. “The drill rig is currently turning near the North Dome where we have additional targets and we are continuously evaluating our exploration program as results are received,” he said. So far, 1,167 meters have been drilled as part of the 3,000-meter drill program, which began in October.